Trevor Brazile holds the record for the most total world champion titles won by a large margin of 23 titles. Brazile won the 23rd title in 2015. He accomplished breaking the record held by Ty Murray who has 9 titles for which Murray earned the final title in 1998. Brazile also holds the record for the most All-Around Cowboy World Champion tiles at 13 titles. He won the 13th title in 2015. 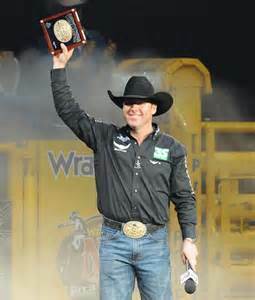 In 2010, Brazile won his 8th all-around title, surpassing Murray's seven titles in 1998. Trevor is married to barrel racer, model, entrepreneur and outstanding mom, Shada Brazile. They have three children.